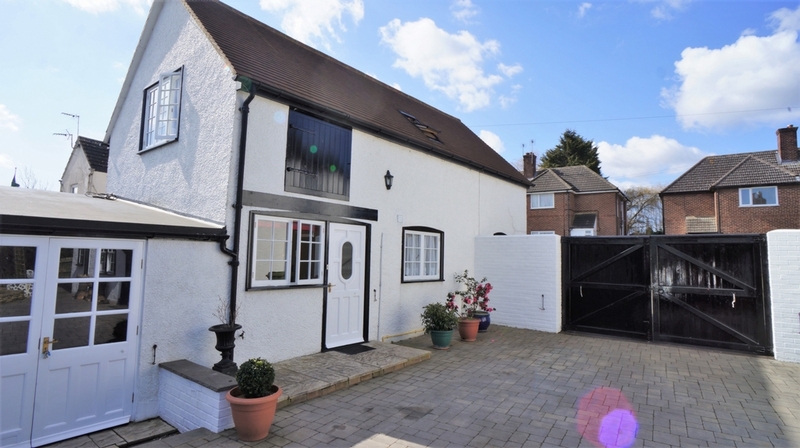 Marshalls Estate Agents are delighted to present for this, in our opinion, well presented detached barn conversion to let. 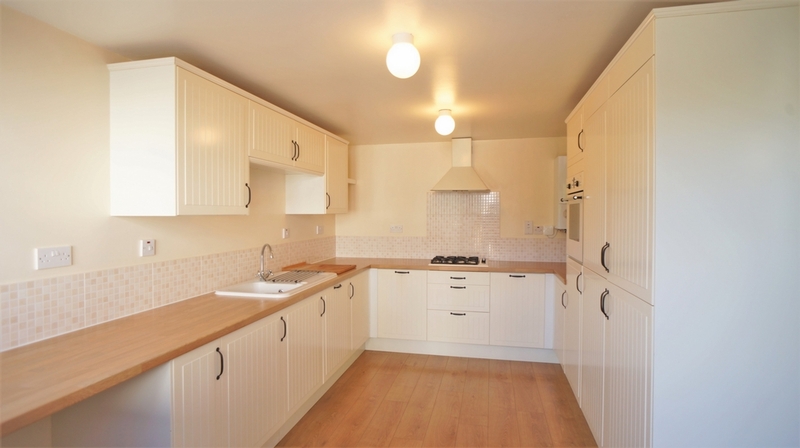 The property offers two double bedrooms, lounge/diner, kitchen, cloakroom and family bathroom. There is one secure allocated parking space. 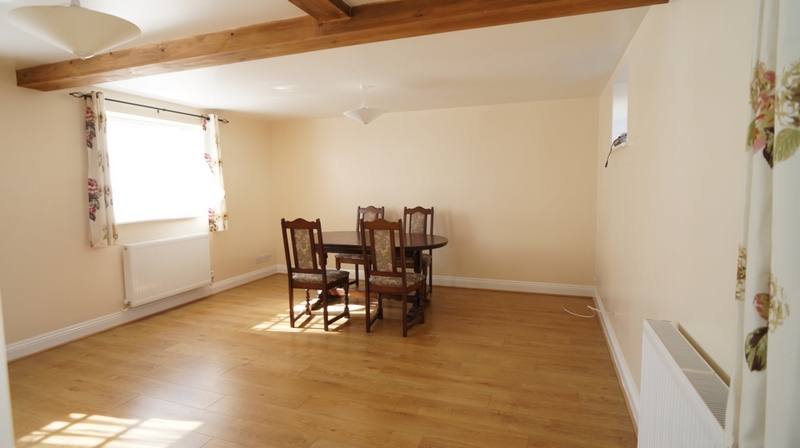 The barn is a part of a larger property and access to its gardens will be by agreement with the Landlords. Viewings are highly recommended. ENTRY: Via hardwood door with glass inert. 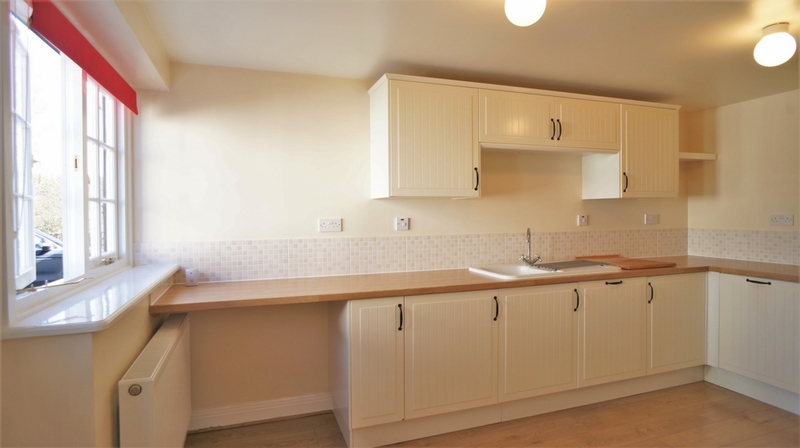 KITCHEN 4.49m (14'08") x 2.95m (9'08"): Two ceiling lights, radiator, window to front aspect, fitted with a range of wall and base mounted units with work surfaces over, single sink unit with drainer and mixer tap, four ring gas hob with chimney style extractor over, built-in electric oven and grill, built-in dishwasher, built-in washing machine, built-in fridge/freezer, laminate flooring, through to lounge/diner. 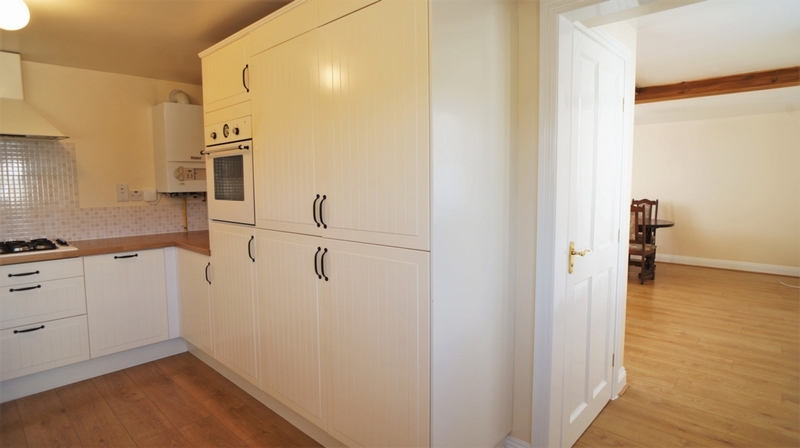 CLOAKROOM: Ceiling light, extractor fan, fitted with a two piece suite comprising: low level WC, wall mounted hand wash basin, complimentary splash back tiling, ceramic tiled flooring. 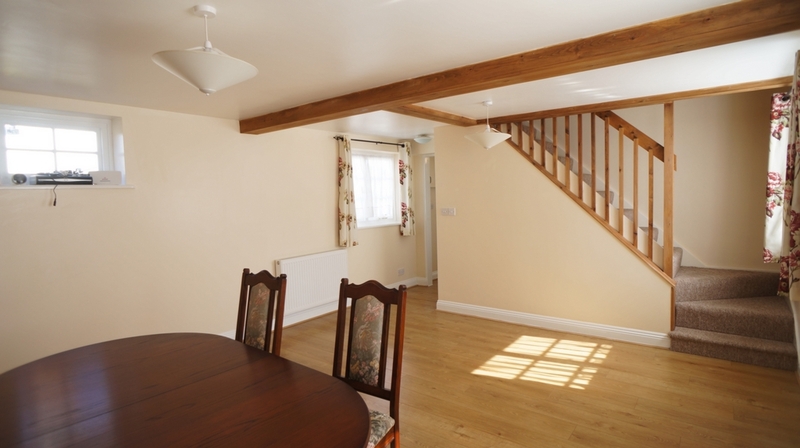 LOUNGE/DINER 4.87m (15'11") x 4.29m (14'00''): Three ceiling lights, four windows to side aspects, two radiators, television and telephone points, stairs rising to first floor, laminate flooring. 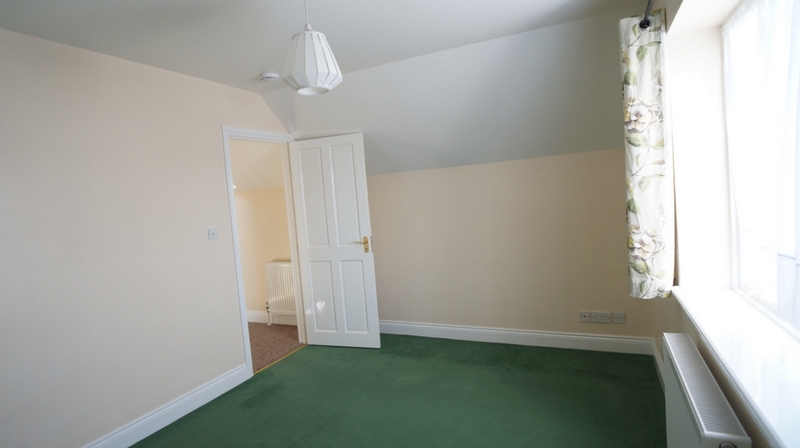 LANDING: Ceiling light, double glazed Velux window, radiator, doors to all bedrooms and family bathroom. 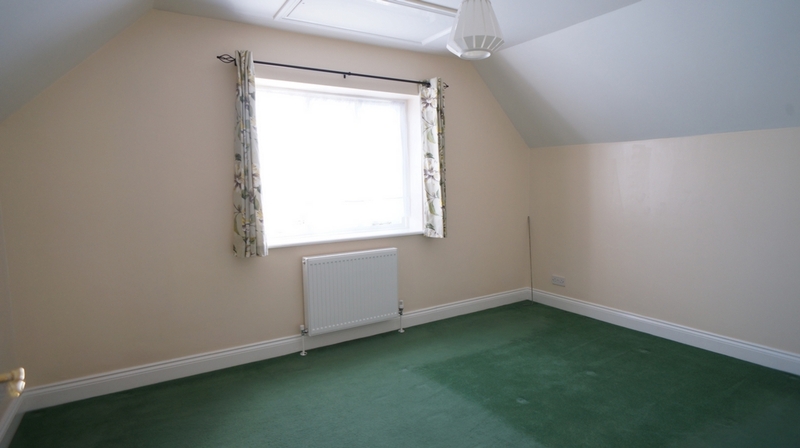 BEDROOM ONE: 4.31m (14'01") x 3.01m (9'10"): Ceiling light, loft access, window to rear aspect, radiator, telephone point. 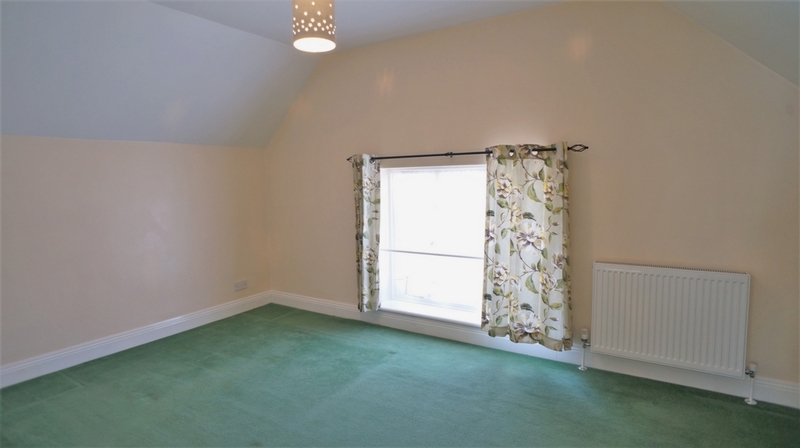 BEDROOM TWO 4.34m (14'03") x 2.98m (9'09''): Ceiling light, double glazed window to front aspect, radiator, telephone point. 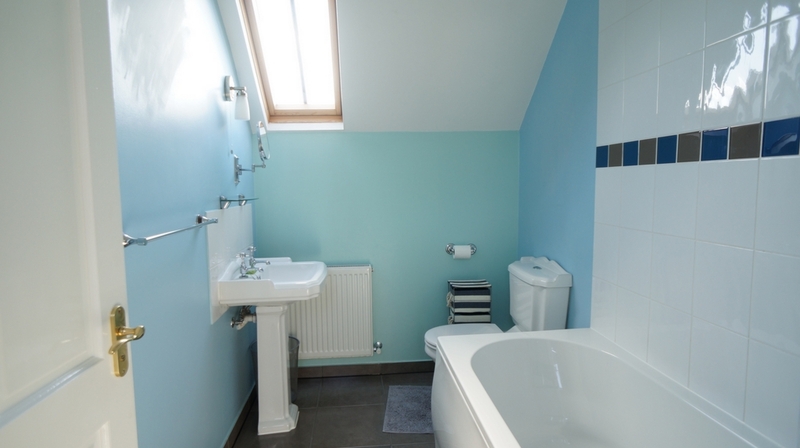 FAMILY BATHROOM: Ceiling light, double glazed Velux window, radiator, fitted with a three piece suite comprising: low level WC, pedestal hand wash basin and P shaped panelled bath with power shower unit over. PARKING: Off road parking behind gates.